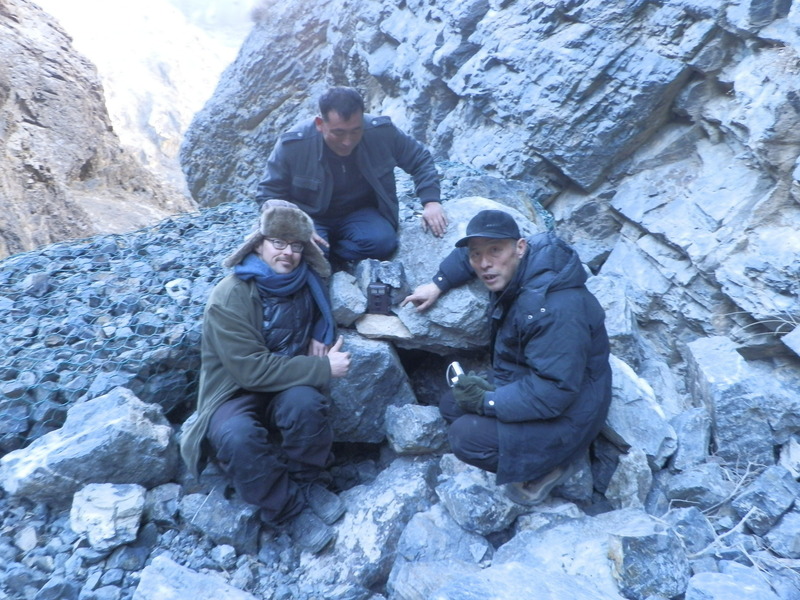 Detroit Zoological Society Director of Conservation Paul Buzzard is doing fieldwork in Xinjiang, China. 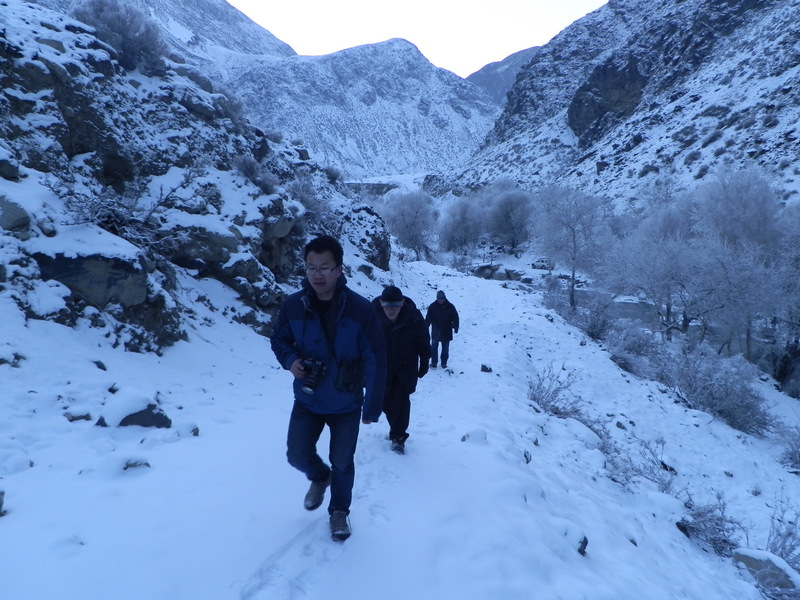 This conservation project in China’s northwest Xinjiang province focuses on getting a better understanding of the snow leopard population in the Tien Shan Mountains. We are interested in estimating how many snow leopards are left in the Tien Shan as well as assessing the local attitudes toward snow leopards and the threats from poaching. To get this information, we use camera traps to get pictures of leopards and the animals they prey on and conduct interviews with the local herders. It’s been a very successful if short trip to the field this time. My plan was to travel to Xinjiang in northwest China primarily for meetings with local collaborators in snow leopard and wild camel research. We had originally planned to set camera traps for snow leopards near Xinjiang’s capital of Urumqi the day after my arrival. However, when I was picked up at the airport, we decided to head out immediately to a much more interesting area several hours to the west in the Central Tien Shan mountains. I was very excited to spend the majority of the trip in the field and to visit the Tien Shan for the first time. We set up camera traps despite the below zero temperatures, several flat tires and hazardous road conditions. 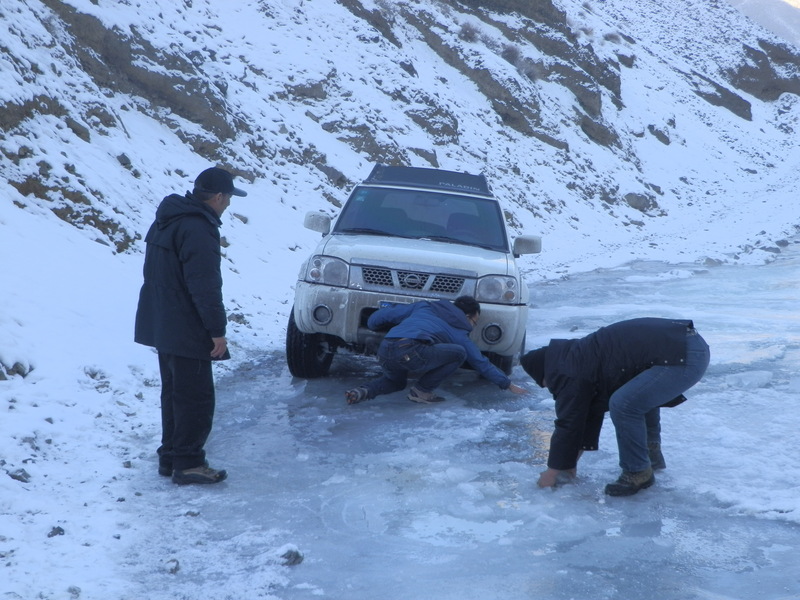 We drove south from the city of Wusu into the valleys until rock slides or icy rivers impeded further progress and then hiked up side valleys to set the traps. 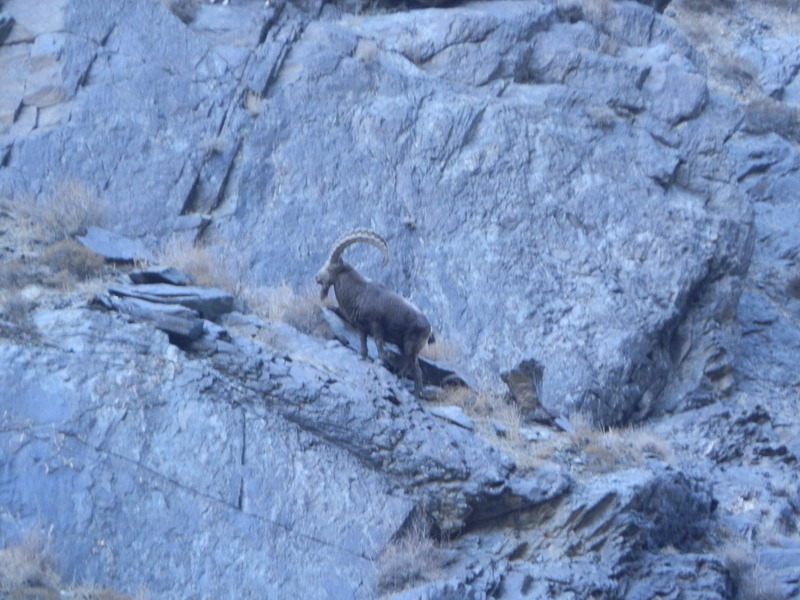 Once we got into the mountains we almost immediately started seeing herds of Siberian ibex, a wild goat that is a favorite prey of snow leopards. 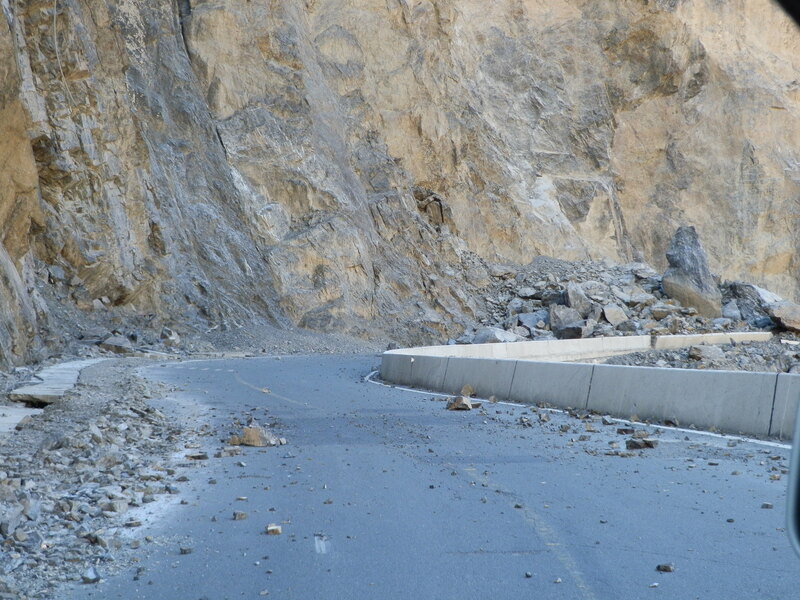 We also heard reports of many argali big horn sheep, so it definitely appeared to be prime snow leopard habitat. This was confirmed when we saw the remains of an ibex likely killed by a leopard as well as lots of snow leopard tracks and droppings. The ibex were so common that they were literally falling from the sky. One day when we were driving back one of the forestry officials yelled for us to stop because at the side of the road was a dead ibex. It was frozen stiff but it had no puncture wounds from a leopard and it looked like it had slipped and fallen to its death. Ibex are normally very sure footed, so it is possible that it was fleeing from a snow leopard when it lost its footing. We only had time to set up five of the camera traps and the remaining 15 will be set up by colleagues. I plan to return next February or March to check the traps and also investigate the conflict between herders and leopards. The Kazak and Uygur herders sometimes lose sheep to leopards and it is necessary to determine if a compensation program can be established so herders are paid for lost livestock and leopards are not killed in retaliation. Before the return trip to Detroit, I stopped off in Urumqi to meet with the director of the Lop Nur Nature Reserve in southwest Xinjiang. The Lop Nur Reserve has one of the largest sub-populations of the wild Bactrian camel, which is one of the most critically endangered mammals in the world. We are exploring the potential for the Detroit Zoological Society to collaborate in wild camel research and help save them from extinction. Domestic Bactrian camels, like the ones living at the Detroit Zoo, have been changed from their wild ancestors over two thousand years as humans have bred them to be pack animals. Domestic Bactrian camels are somewhat larger than wild Bactrian camels, and they lack the ability of wild camels to survive drought by drinking saltwater.